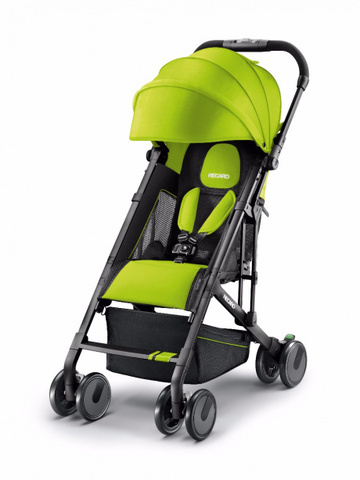 RECARO introduce Easylife, a really light weight stroller with an extremely compact/small fold, designed to give you an easy life. 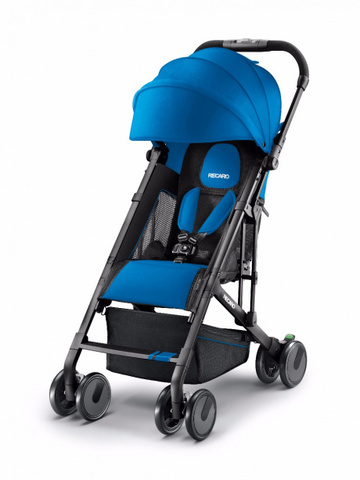 Suitable from 6 months, the RECARO Easylife stroller is the ideal choice for older babies as well as toddlers. 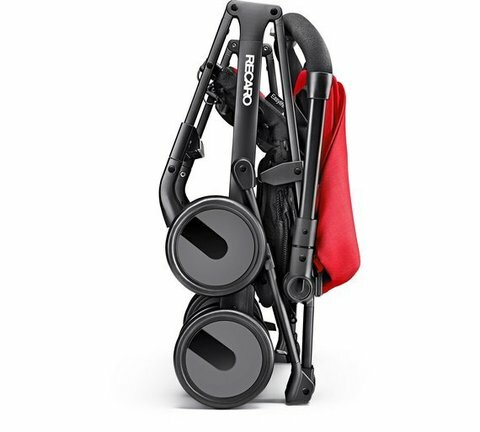 Easy life has a one hand fold movement providing a very compact fold and weighs only 5.7kg. There is a multi-position recline allowing the backrest to be adjusted to suit your child. The comfortable seat unit has a 5-point harness and there is a footrest for the child’s feet. Easylife has front lockable swivel wheels and a push on push off brake system. 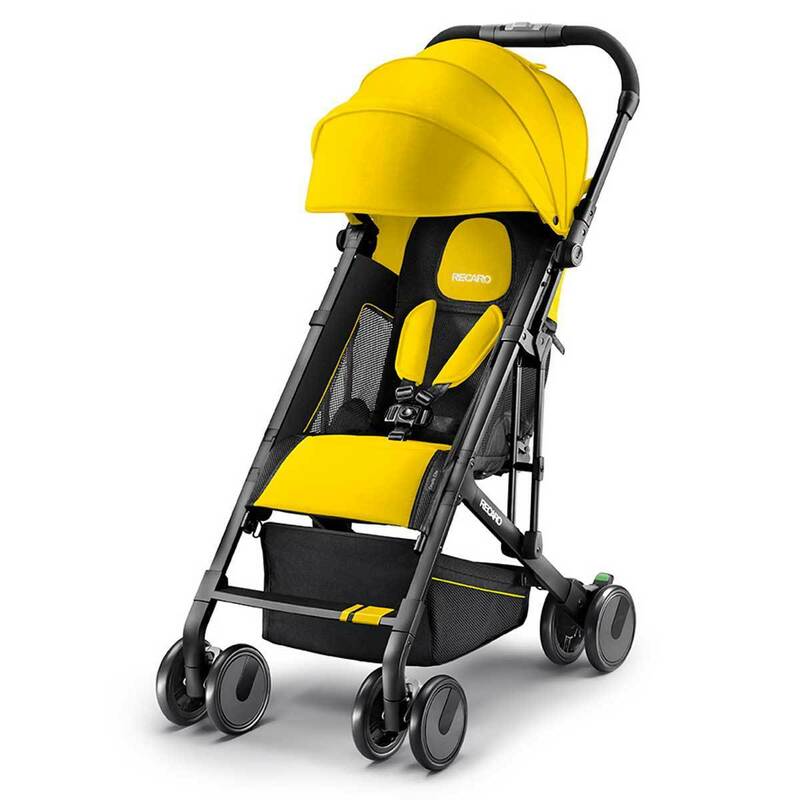 Thanks to its convenient size and maneuverability as well as easey access to the large shopping basket, the Easylife stroller from Recaro is the perfect shopping partner. One of the lightest pushchairs in its class, weighing just 5.7kg. Intuitive one-hand folding mechanism and swivel lock brake. Multiple recline positions for snoozing or sitting up. Under-seat shopping basket for groceries and other bags. 5-point seat harness to keep passenger safe and secure. 8 smooth, sturdy wheels complete with all-round suspension. Continuous handle bar for one-hand maneuvering. Available in an array of six bright, sporty colours. Breathable fabrics for optimal air circulation . Continuous handle and frond lockable swivel wheel guarantee easy one hand manoeuvring. Fully suspended wheels handle uneven terrain well. Push on Push off brake makes using the brake easier. Pushchair Orientation: Forward Facing Only. Number of Wheels: 4 wheeler. 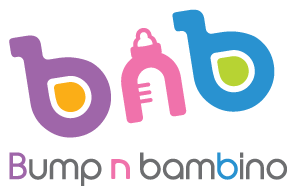 Suitable from 6 months up to approximately 3.5 years.